Welcome to the The Archibald Appreciation Society! A group formed in appreciation of the fearless and fearsome Archibald the Griffhound! 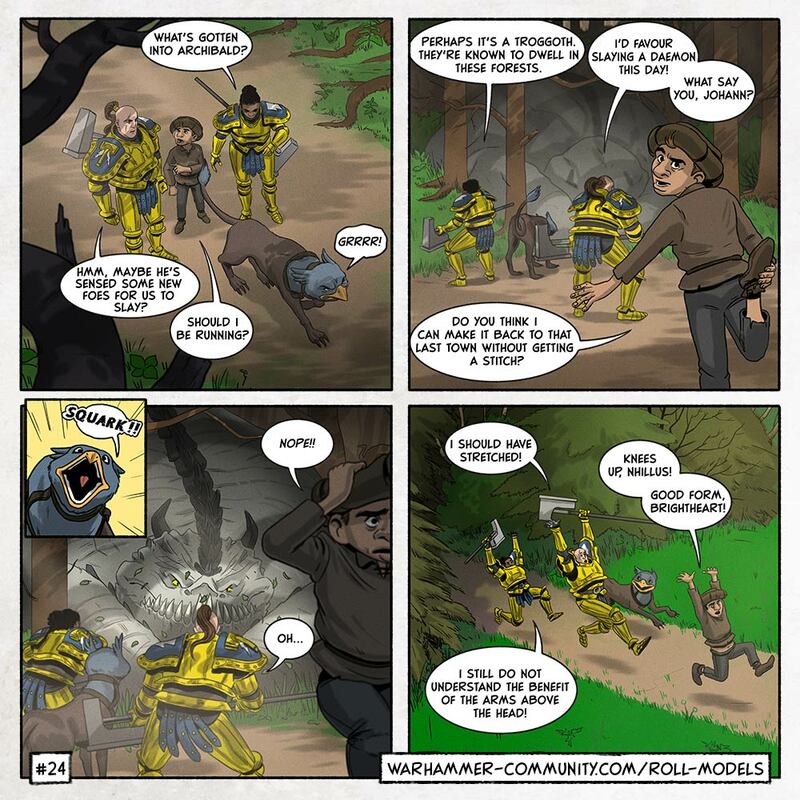 If you are not already familiar with this most important of griffhounds then you can follow his adventures as they are chronicled in the Roll Models comic. Read of his valiant history that led him to come to the mortal realms. 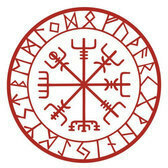 Of his loyal protection of his adventuring companions and his fearlessness in battle.  Now also accepting other famed and infamous heroic and demonic familiar (and not so familiar) critters and beasties as well! 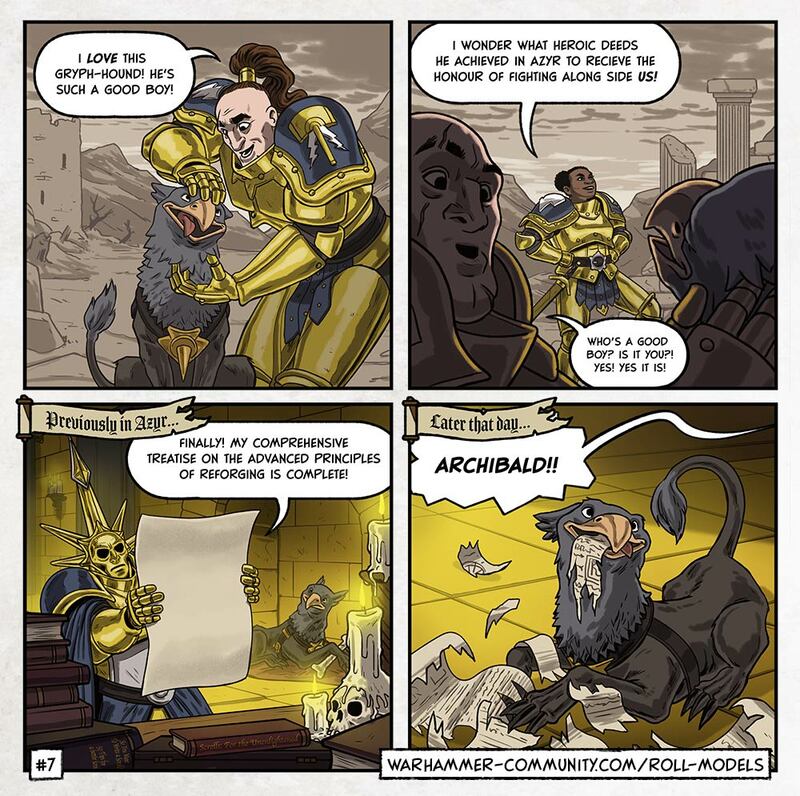 Second order of business is to share photos and details of your own Archibalds and their adventures, or perhaps you're far from the vaulted halls of Sigmar and instead you worship chaos or destructive forces; perhaps you've an imp who always has good luck or a particular skeleton that stands prouder and more mighty than the rest! Recount their tales of valour here too! After reading your post, I was inspired to paint an Archibald! It was quick and fun to paint, and different, since most of my other gryph-hounds are bright blue and pinks. Welcome @LoopyZebra to both the Archibald club and to the forums! 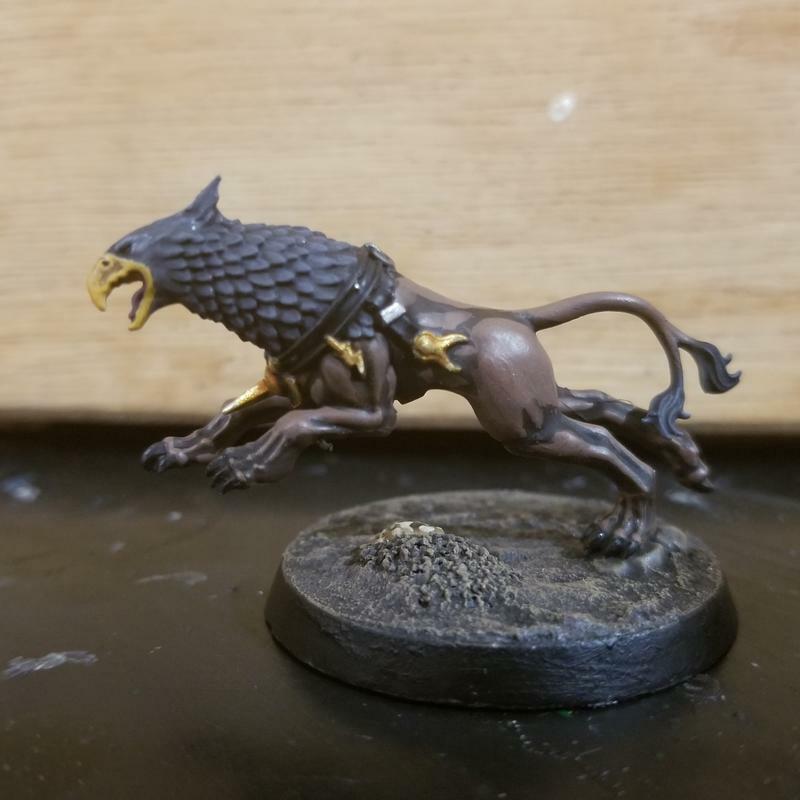 Great to see someone new leaping in with a mighty gryph hound! Sound like he will certainly stand out in your group when leading the charge! 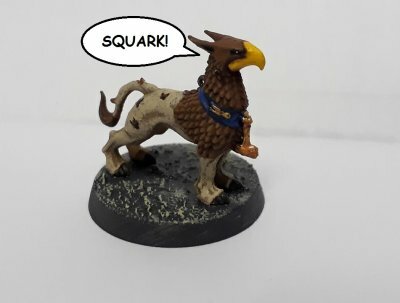 Ps new thing - gryph hounds - is a group of them a flock or herd or pack? Important announcement for all fans of Archibald. Little heresy happened. Archibald is not happy. How can anyone do something like that to him?! We'll have to spend a whole week to find out! GAH! But surely GW can't write out their best character! Now we will have to wait for season 2 to enjoy marvelous adventures of Archibald. And now he has a rival. 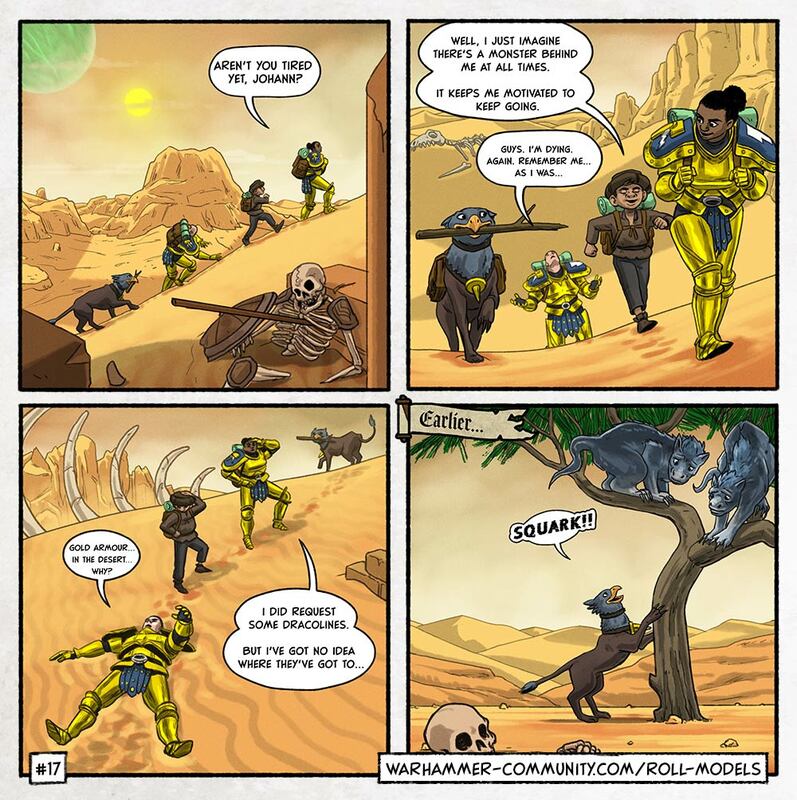 We will need a Skaven-Johann Appreciation Society. The epic drama!! How can GW leave us waiting for a second season on such a cliffhanger! What shall us loyal Archibald fans do whilst we wait and ponder how our mighty hero will overcome these terrifying and chaotic odds! Throw Chaos a bone. One of their own. 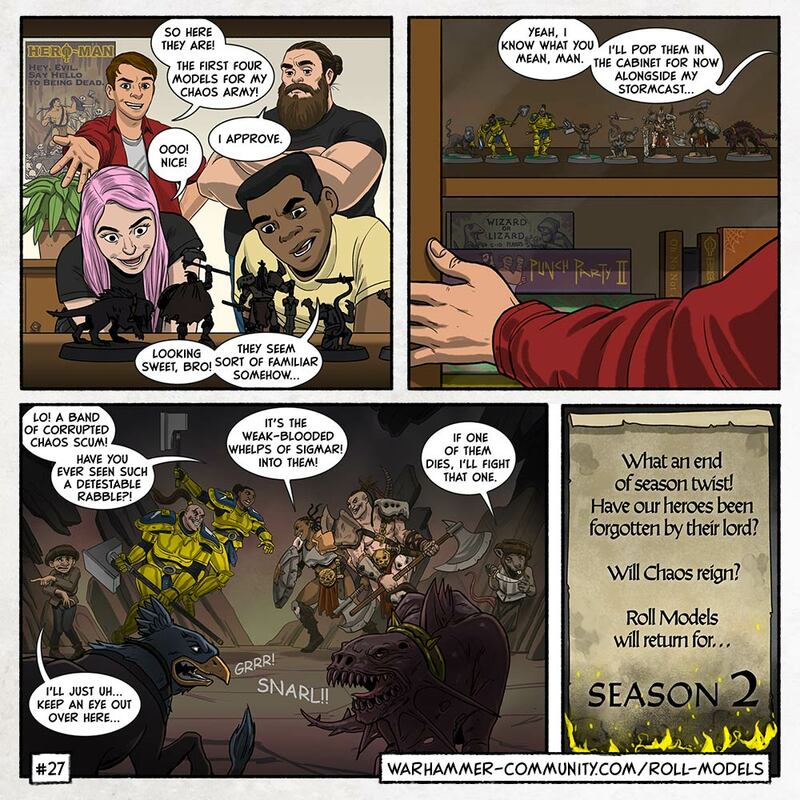 I expect broken Chaos minis at next season's start. I don't think this is a fair matchup. Chaos has two heroes (Darkoath Chieftain and Darkoath Warqueen) to fight two Liberators with Grandhammers, and the Skaven is superior to Johann by virtue of having a weapon. But even all of those advantages do not make up for the overwhelming might, virtue, and SQUARK of Archibald, meaning Chaos has no chance. Well at least that noble hound is not one of the tainted from Chaos! 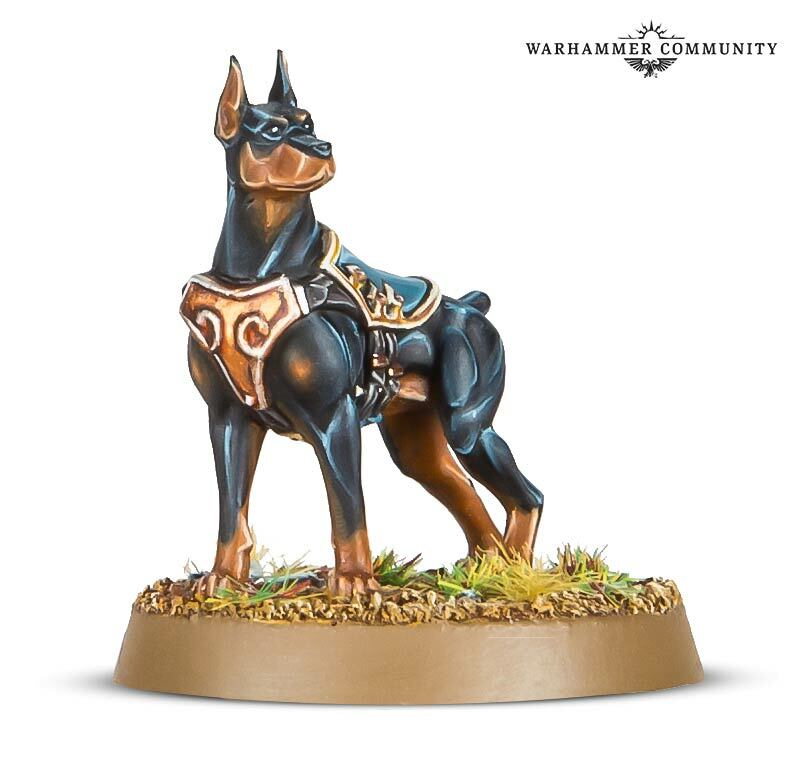 GW is going to the dogs, and this is a very good thing. Its from the new Rouge Traders Kilteam game that's going on sale this weekend. It's the loyal hound of the Rouge trader side. Although with that armour I can see many getting pinched on ebay by Stormcast players! I think he's basically a bullet catcher. Which is sad. Have you seen the rules? They have them posted in the community. 6+ save, 1 wound. The squad even ignores his demise morale wise. They should go berserk. I'm going to house rule 6 extra attacks each against whoever offed him. Oh that's good! I'm going to use that concept in a campaign with my girlfriend! 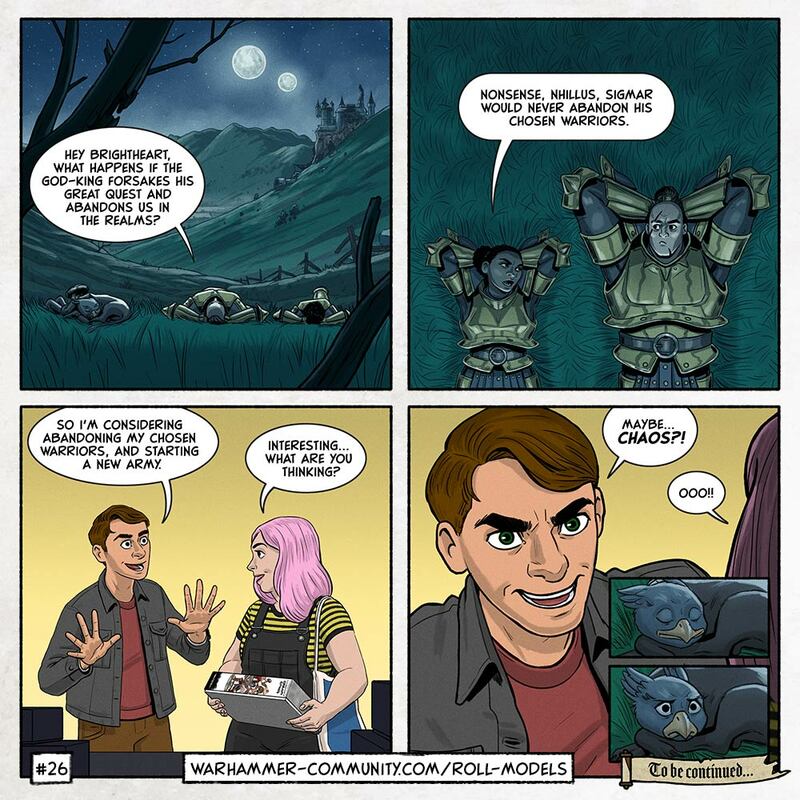 Sacrificing a cute model just for the gaming advantage? She'll never be abel to do it ? Sorry for reanimating this topic, but Archibald returns! HUZZAR! All prepare for the return of the mighty Archibald!